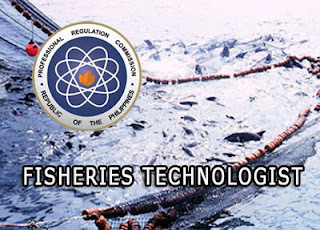 The Professional Regulatory Board of Fisheries Technology and PRC are set to release the Fisheries Technologists board exam list of passers this October 2014. The exam was also popularly known as October 2014 Fisheries Technologists Licensure Examination. Last year, The Board of Fisheries Technology decided to postponed the licensure examination for Fisheries Technologists which originally set on October 15 and 16, 2013 in Manila, Davao and Iloilo. Because of the untimely demised of the two members of the board who rendered the Board short of the requirement for a quorum to validly performed its duties and functions, specifically in the formulation and extraction of test items, conducted of the examination proper and releasing of the results. But in the year 2012, PRC released the 95 passers out of 376 examinees of Fisheries Technologist board exam. "The results were released in two (2) working days after the last day of examination," according to PRC. The roll of successful passers of October 2014 Fisheries Technologists board exam will be displayed on this page. For more Fisheries Technologists board exam related information, Please bookmark this page for updates and you may also share this post to your friends. Comments or suggestions about "Philippine Fisheries Technologists Exam Results October 2014 - Fisheries Technology Board Passers" is important to us, you may share it by using the comment box below.